Last Monday, Adam Darowski, of Beyond the Box Score, tweeted the Baseball-Reference WAR data of Red Sox players acquired via Free Agency. Most valuable Red Sox (B-R WAR) who were acquired as FAs: Ortiz (2.3 WAR), Aceves (0.6), Scutaro (0.5), Albers (0.5), Hill (0.4). I thought that was terrific. I love when people show me a new, slightly different way to look at the game. It doesn't have to be anything revolutionary, but categorical silos or slightly skewed glimpses are great. As a starving blogger, I naturally find this moment of brilliance as a launching pad for our next blog post. I hoped to look at every team's success at signing free agents, trades, and homegrown players, by their up-to-date 2011 avWAR* for each group. Once again, something happened on the way to nirvana. That's a project that works better in the offseason, or with smaller samples. 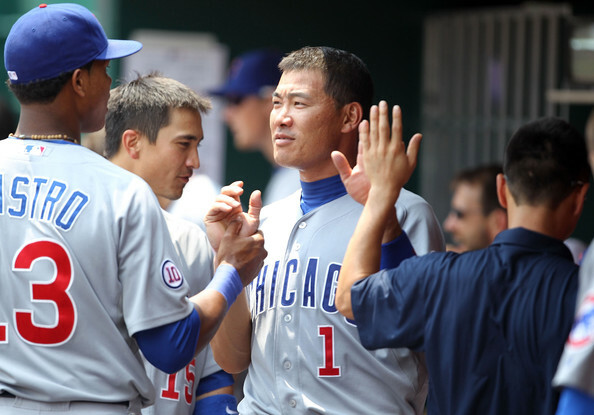 Maybe we could do it by division, but for starters, let's take a closer look at our favorite team, the Cubs. To be more specific on the groups, Amateur Free Agents will be in the 'Homegrown' group, while Rule 5 picks will be in the 'Free Agent' group. *Aramis was, of course, first acquired by the Cubs in one of Jim Hendry's finest transactions, trading Jose Hernandez, Matt Bruback, and a PTBNL (Bobby Hill) for Kenny Lofton and Aramis Ramirez. The trade propelled the 2003 Cubs to the postseason and a date with destiny in Games 6 and 7 of the NLCS versus the Florida Marlins. The results of this subset are as to be expected. The very well-paid players are at the top of the list, but none of them are having impact seasons. The remaining players were below replacement level, but this could be normal for all teams. We're all counting on you, Garza. This is not looking good for team Hendry. Garza has been pretty good, but they still gave up a lot for him; the jury's still out. Blake DeWitt hasn't panned out, at all, and in fact, none of the other guys are having good years. The pride and joy of any Major League franchise is usually their homegrown talent. The finest way to sustain long-term success in baseball is to maintain a strong core of young players who can be used as an infusion of talent to the Major League club, or trade pieces to be used for such talent. Unfortunately, it looks like the Cubs' only true "keeper" is Starlin Castro. Sadly, that is true not just of the Homegrown talent group. No player, aside from perhaps Starlin Castro, should be deemed untouchable. The Cubs' brain trust has not earned the right to shut their minds to possibilities of improving in any way. Trying not to get worked up, but this does not mean improving a club from 67 Wins to even 77 Wins. 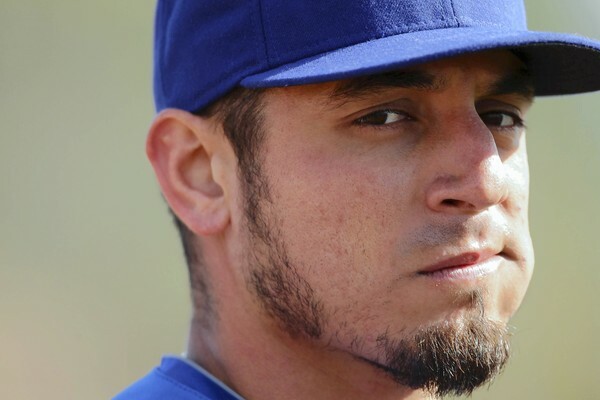 If you are not going to compete for the title, you should not trade a slew of prized prospects for Matt Garza. It's also a bad idea to spend $10 million on a 1-year rental first baseman who can't get a better offer, especially if Lance Berkman can be had for less. Lastly, I'm not sure how to put this. In Chicago's professional basketball terms, Casey Coleman is to the 2011 Cubs as Brad Sellers was to the 1986-87 Bulls. Although Coleman wasn't a high draft pick, like Sellers, he is a highly-touted prospect. What they share in common, around here, is that I don't/didn't trust either of them to play well. Maybe another time, I'll have to explore these feelings. Until then, I hope Casey Coleman becomes as trusty as Carlos Zambrano in 2004.